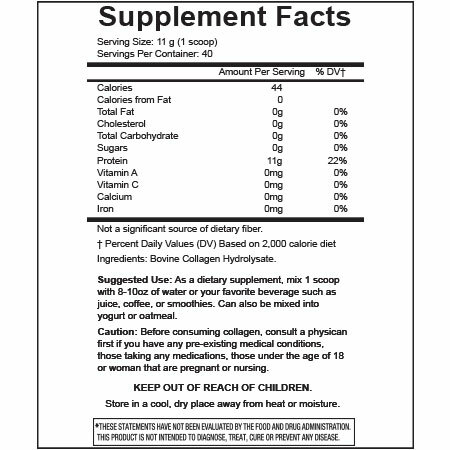 SAVE 70% on the Best Grass-Fed Collagen Powder Supplement for only $14.99 (retails for $49.99). No Coupons. As a person ages, their collagen production levels decline so in order to maintain strong bones, joints and skin, many people think taking a collagen supplement just makes sense. Clinical studies suggest that collagen peptide increases your skin moisture level which makes skin more supple and look younger. It can also gives your hair more moisture and supports nail growth. 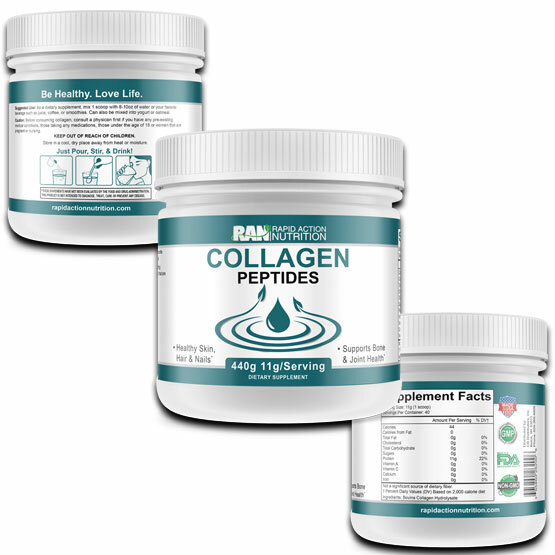 Collagen also supports bone and joint health and may reduce injuries of muscles, tendons and ligaments in athletes. Before taking collagen peptides or any supplement, always talk with your physician first to ensure it will not interfere with any current prescription medicines or treatments.